In Flokzu you have the possibility to call Web Sevrices (SOAP y REST) to carry out different operations such as enter data into a form, send information to an external server or even assigning a task. How can I call a Web Service from the process workflow? The first thing you should do is to place a Service Task at any stage of your workflow where you want to make a service call to a Web Service. Luego debes seleccionar el tipo de Web Service que desees invocar (SOAP o REST). Enter the URL of the Web Service you want to call. Enter the Input data (which will be sent to the Web Service). Enter the Output data (which is retrieved from the Web Service and can be entered into Flokzu fom fields). Enter the Headers (optional), for safety reasons, for example. To charge options of a combo box or multiselect combo box or even combo boxes inside a table field. To set up a trigger, in such a way that when the value is modified, information can be retrieved and used to charge other form fields. To send information from a Flokzu form towards an external server. To receive information from an external server and enter it on a Flokzu form. To add new records on a Flokzu internal database (add record). To get records from a Flokzu internal database (get record). To list records from a Flokzu internal database (list record). To update records from a Flokzu internal database (update record). To start a new process in Flokzu when a Service Task is reached at any stage of a process workflow. To get information from a process instance. To update information from a process instance. What if I want to integrate with an app that doesn&apos;t support Web Services? If you want to integrate with other apps, and these doesn&apos;t support Web Services, you can do it as well. 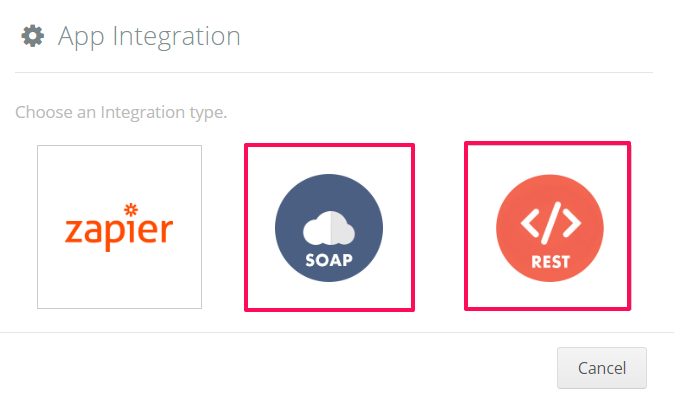 Simply place a Service Task in the workflow, then select &apos;Zapier&apos; and follow the steps to integrate Flokzu and Zapier. Once the integration is set up, you&apos;ll be able to connect Flokzu with more than 1,000 apps (Facebook, Google Drive, Gmail, SalesForce, etc).